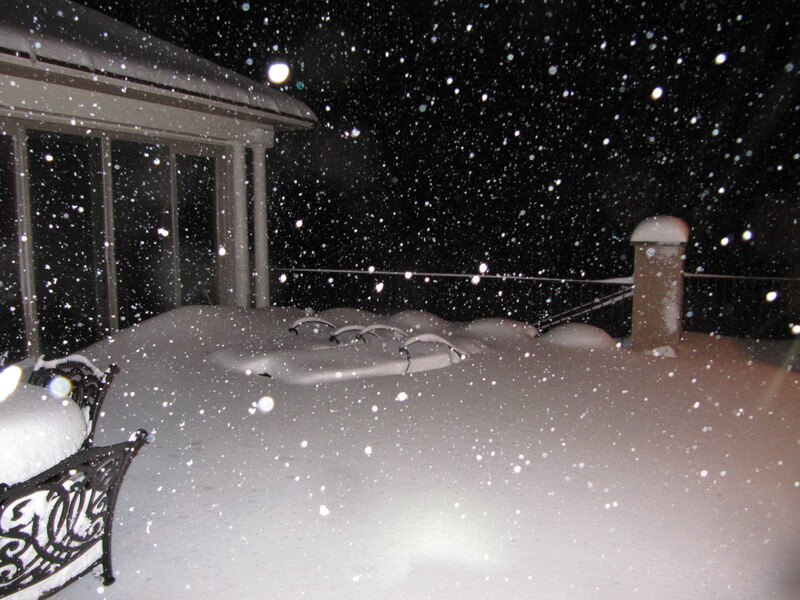 Update 12:00 AM: Well snow is STILL falling here at my house. I have around 15 inches and by the time the snow pulls out, 18 inches could be on the ground tomorrow morning. I also ventured out into the snow tonight and took some photographs of the white stuff. Conditions are bad out there. I didn’t get to see the condition of my street, but I imagine it to be pretty bad. Tomorrow I have a delayed opening (yes, I can’t believe it either) so I’m not sure if I’ll post by tomorrow morning or not. Update 8:45: Snow is falling at an amazing clip. 2-3 per inch hour rates will fall for the next 6 hours before the snow starts moving out. Many schools have announced delays, which in a way is baffling. Roads will be bad until late morning or later tomorrow. Side streets will be also bad. The schools have been making some weird decisions for this storm, I’m not really sure why. 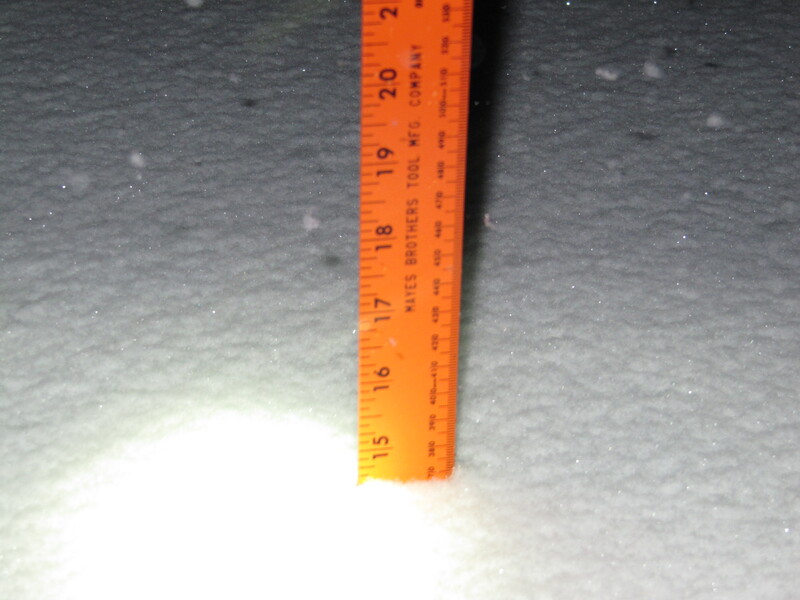 I have received around 6 inches of snow at my house in Bucks County. Throughout the area totals from this morning were 2-6 inches. This was much higher than I originally thought last night. The storm ended up going more northwest than what was originally predicted. We have another round about to hit the area during the evening rush hour. This 2nd round of snow should last until 2 AM south of the city, to 4 AM north of the city in Central Jersey. I anticipate another of 6-10 inches tonight. You may be wondering, how could he say an additional 6-10 inches when he said we’d be getting 6-10 inches total? 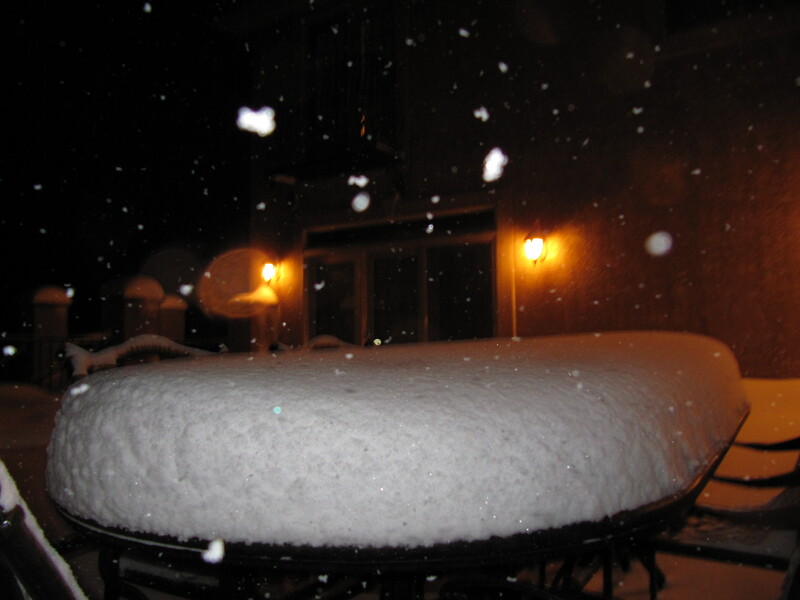 I was not expecting any snow to fall this morning, so the snow falling tonight was supposed to be the total. What does this mean? New Storm totals from the 1st round and 2nd round will total 10-16 inches. What was supposed to be a major snowstorm just turned into a crippling one. I want to apologize for not getting the forecast right this morning. Many people, including myself, were traveling on nearly impassable roads. Most schools, with the exception of my own, closed early today in lieu of the heavy snow. Tomorrow morning will be bad as plows will not get to all the side streets in time for the morning commute. Schools will be canceled and most travel will be rough until skies become clear and sunny in the afternoon.